When people want to get involved in gambling, they are usually wondering whether they should start with sports betting (in most cases betting on football) or play games like poker, slots, or other games in online casinos. In order to understand which of these options is better, you should learn more about the characteristics of these two betting activities. Betting on football is by far the most popular type of betting and one of the most used types of online gambling in the last two decades. As a matter of fact, people have been placing bets on footballing events from the moment this sport was introduced in England back in the 19th century. People with different social statuses, both rich and poor made betting on football their favorite pastime. With the help of TV and their live coverage of football matches, the popularity of this form of gambling has increased even more. 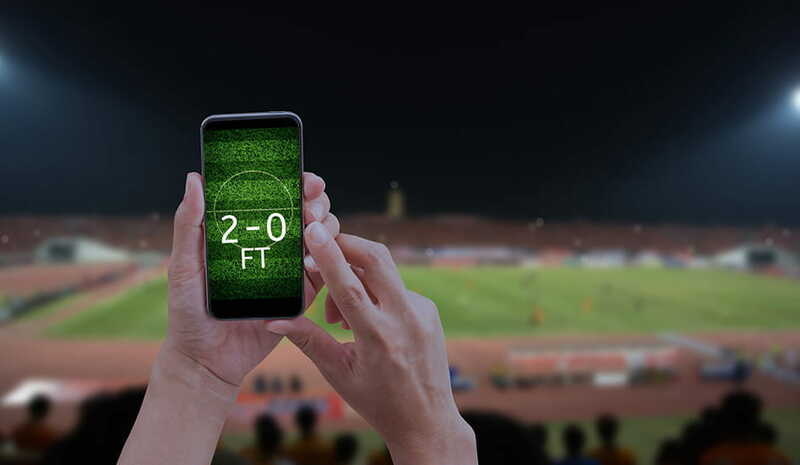 Nowadays, many bettors who are making money out of football betting are conducting thorough research in order to increase their chances of winning. New signings, injuries, recent form home/away, record against opposition and even the weather should all be taken into account when betting on a particular match. This means that “professional” betting on football is not a simple task. Casual players usually choose a team and place their bets, but serious punters are spending a lot of time to find the right bets and turn their picks into profit. In case you don’t have experience in this area, you should know that there are many different betting systems that you can use and learning more about them could also increase your chances of winning. It’s up to the player to choose the types of a bet they want to use – live bets, parlays, proposition bets etc. By proposition bets, we mean bets that are related to specific elements of a match like the number of yellow cards or first goal scorer. Parlay is a term used for tickets with multiple bets on it. Winning a parlay is more difficult, but it promises higher returns. With the help of online casinos, you can place bets on a wide range of games. Some of them are very simple and you don’t need any knowledge or experience to start playing like online slots or blackjack for example. The odds of winning in these games are lower, but you can expect much higher prizes compared to sports betting. For instance, a spin worth a dollar could bring you a progressive jackpot worth millions of dollars. In addition, you can play casino games that are not pure games of chance. Poker, for example, requires strategy and skill. Now that you know the difference between betting on football and online casino games, it’s up to you to make a decision. Our advice is to join a gambling site where you can place bets on football and on the most popular casino games too and see what you enjoy the most.